Police in the county with the worst record in England for raptor persecution are stepping up their fight to catch criminals responsible for killing birds of prey. North Yorkshire Police is also asking for the public’s help to spot illegal traps and poisoned bait while out walking. A spokesperson said: “North Yorkshire has more confirmed incidents of raptor persecution than any other county in England – a situation that North Yorkshire Police is determined to tackle. Police launched Operation Owl on Saturday, together with the Royal Society for the Protection of Birds, the Royal Society for the Prevention of Cruelty to Animals, the North York Moors and Yorkshire Dales National Park Authorities. As part of the operation, police will carry out surveillance checks on known raptor persecution hotspots at random times to disrupt unlawful activity, and work with local landowners to make them aware of the legal position on raptor persecution. National Park volunteers will be trained to spot poisoned bait and illegal traps across the parks and the police are also calling on the public to be the eyes and ears of the police when out in the countryside. 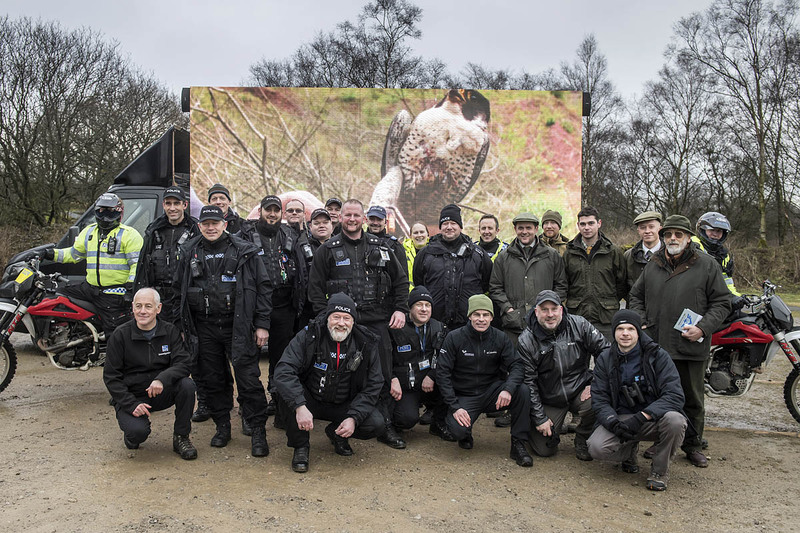 North Yorkshire Police’s chief constable Dave Jones is the national lead on wildlife and rural crime, and the force has what is believed to be the largest dedicated rural taskforce in the country. Sergeant Kevin Kelly, part of the rural taskforce, said: “Our wonderful countryside is host to many specially protected birds of prey such as peregrine falcons, red kites, buzzards and owls. “It is absolutely unacceptable that people think they can ignore the law and subject these birds to poisonings, shootings, nest destruction and the illegal use of spring traps without consequence. In particular, police are asking the public to spot pole traps. Sgt Kelly said: “Trappers are using spring-loaded traps on top of posts to capture birds of prey that land on top of the post. 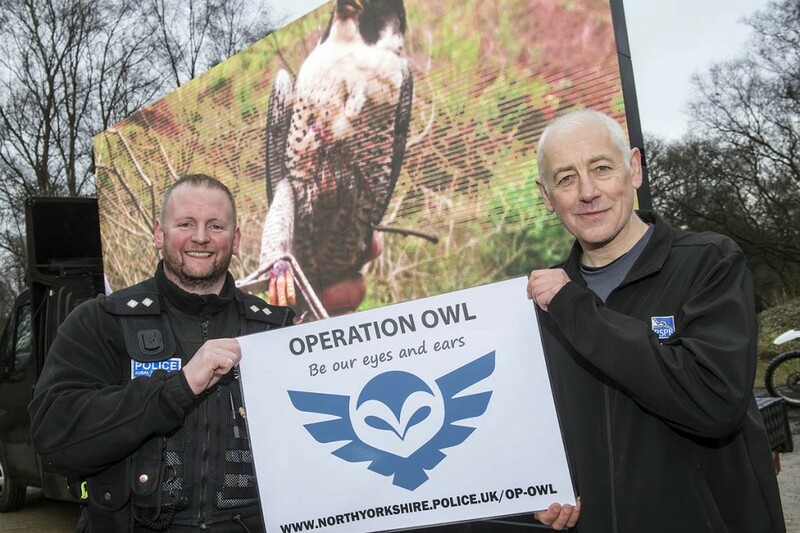 Operation Owl will run for the next year, and North Yorkshire Police is hoping that the scheme will become a blueprint for other forces where there is a high incidence of raptor persecution. Guy Shorrock, RSPB senior investigations officer, said: “The landscape of North Yorkshire attracts huge numbers of visitors every year. Unfortunately, it also has a terrible history for the illegal shooting, trapping and poisoning of birds of prey. Sgt Kelly said: “Like other forms of rural crime, raptor persecution is not a problem that the police can tackle alone. We need everyone involved. “The weather will soon start to improve and more people will head out to the countryside. If everyone keeps their eyes open for illegal traps and poisoned bait, it will be a massive boost to our surveillance operation. Andy Wilson, chief executive of the North York Moors National Park Authority, said: “Raptors are beautiful. They are an essential part of our national parks, but their numbers have been diminished over many years by persecution from shooting interests. David Butterworth, his counterpart in the Yorkshire Dales authority, said: “The monitoring data, the number of confirmed persecution incidents and the absence of some species from large areas of potentially suitable habitat provide compelling evidence for an uncomfortable conclusion: illegal persecution is limiting the populations of some species of birds of prey in the Yorkshire Dales national park. More power to their elbow. I've come across a few illegal traps over the years. Generally put my boot through them. Once saw a farmer take a pot shot at a Buzzard above Littiondale. He wasn't too pleased when I appeared having taken a photo of the incident and his quad bike. Not enough evidence to prosecute but a visit from the local police may halve make him think twice. Not before time too, the Landowners refute claims that it their Lang Agents, Gamekeepers to you and ! But the truth will out it always does. One grouse is worth more than any Merlin, Peregrine, Buzzard, or Hen Harrier to these people (?) They have no idea, and a lot of the shooting land belongs to people who are not from these islands. IT HAS TO STOP ! Magistrates in these rural areas are drawn from the same class of people who are the 'suspected' offenders. Until the courts dole out the maximum sentences currently available or penalties are increased the offenders have little to fear. What you will find is that this is all window dressing. Launch a big campaign to great fanfare and do nothing about it when it really matters. Thanks for pointing out our typo. Now corrected. About time too. It's so blinking obvious that the culprits of these crimes are some (not all) driven grouse moor owners and their gamekeepers, who engage in illegal persecution of raptors to ensure a good 'crop' of red grouse for the landowner to then sell as a day of 'sport' for many thousands of pounds to the elite to blast the grouse out of the sky on the Glorious Twelfth. No-one else has the means or motive to shoot or poison these beautiful birds on the Yorkshire moors.They've even been caught red-handed on the Mossdale Estate near Hawes (2016), and all the gamekeeper got was a police caution. It's now rare to see a bird of prey in the skies above the Yorkshire Dales. Some moorlands are being ruined by too much heather burning, drainage ditches, shooters tracks, fen traps for stoats/weasels, wire slip traps for rabbits and other mammals. The whole thing is just cruel for wildlife and disastrous for the environment.